I could hardly wait to get out-of-town yesterday to go solo camping at Palmetto State Park, one of my favorite campgrounds. The best tent camping areas at the park are located on the banks overlooking the San Marcos River. Absolutely beautiful and peaceful location. I was fortunate to score the farthest campsite where I set up my brand new tent. I was especially excited to test my tent on a night with temperatures expected to drop into the low 40’s. After setting up my tent, I got about the business of preparing my campfire. 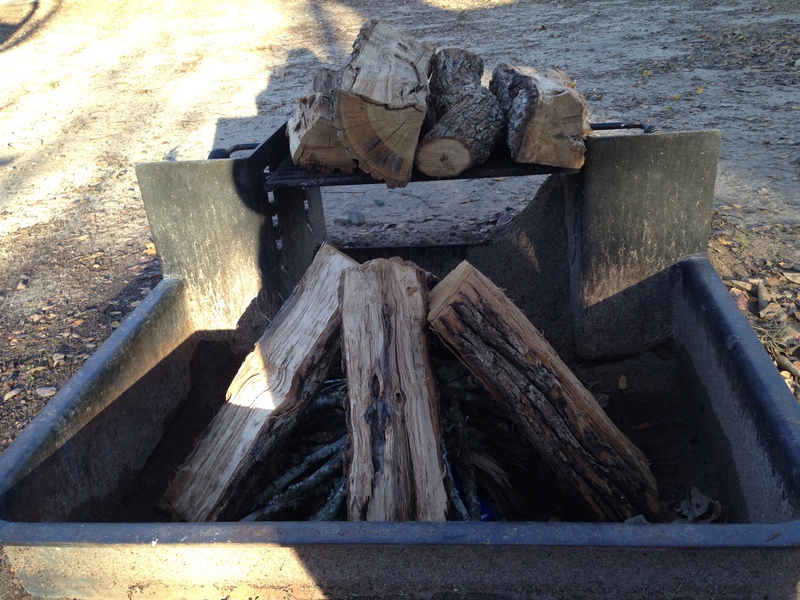 Starting with tinder and twigs, I progressively added the bigger stuff and finally topped everything off with the split logs I had brought with me. The hard part was waiting until dusk to start the fire. Of course, no fuel other than a match and tinder to start my fire. That’s the rule. But, when conditions are dry and you have followed a tried and true fire-starting method it’s not hard to get a fire started with a match or two. My plan for this campout was to cook on my Pocket Rocket and just enjoy my campfire (rather than cooking over a campfire as I usually prefer). Honestly, I just did not want to fool with cleaning my camping pans. So, I prepared a delicious dehydrated meal, the kind I enjoyed on my 100-mile backpacking trek earlier this year. And I boiled plenty of water for hot chocolate — several cups of really chocolaty and creamy hot chocolate with little marshmallows. Perfect for a cold night. I started my campfire just before sunset. No problem. A couple of matches and the flames started to peek out from my tinder bundle deep inside my teepee of firewood. Within minutes the fire was blazing. 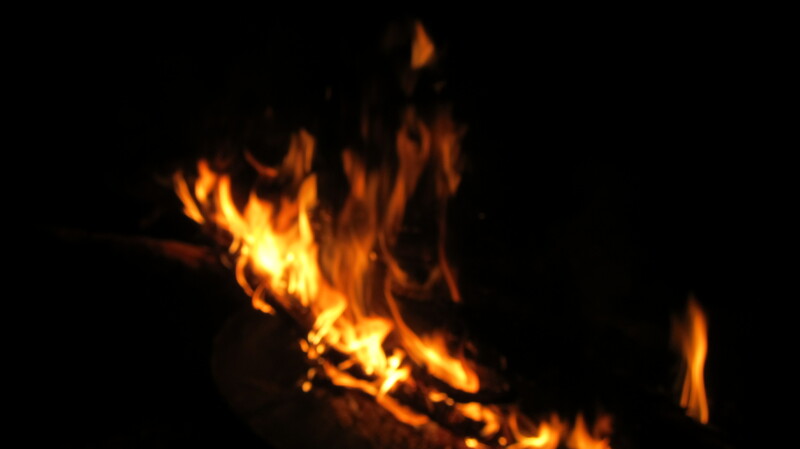 There is just something really inviting and comforting about campfires, especially on cold nights. As I sat and watched the flames dancing around the logs I thought about Chuck Noland, the character that Tom Hanks played in Castaway. When Chuck finally succeeded in building a fire he cried out, “Aha. Look what I’ve created. I have made fire.” Ok, I know it’s a cheesy movie line but everything changed for Chuck when he succeeded in making fire and later when he found Wilson, his new best friend. I watched the soft glow of another campfire in the distance and could hear the muffled tones of conversation. Four friends were camping out and stayed up most of the night talking around their campfire. Reflecting on all of this led me to conclude that campfires are important because they bring people together and inevitably open them up to share their own stories. I recently read about a lady who spent several weeks with a remote tribe. 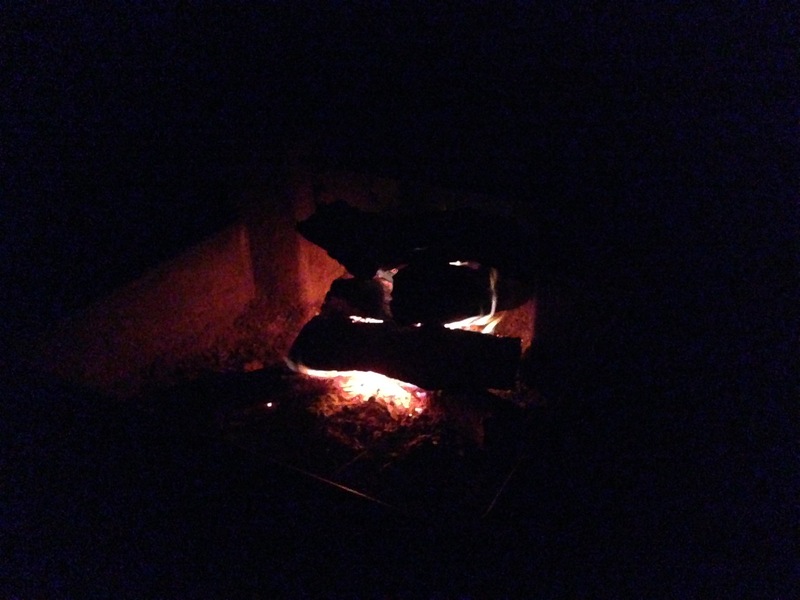 She chronicled their conversations during the day and then at night around the campfire. She concluded that it was the evening campfire conversations that were the most important because that’s when the people sang songs and shared the stories that had shaped their culture and influenced the next generation to keep their culture alive. I think that we lost something important when the humble campfire was replaced by technology. Families and neighbors no longer gather around campfires in the evenings. Instead many families go their separate ways in the evenings, each to their respective televisions or computers or smart phones or whatever — substitutes for campfires, stuff that robs us of opportunities to have conversations and share the stories that shape the next generation. 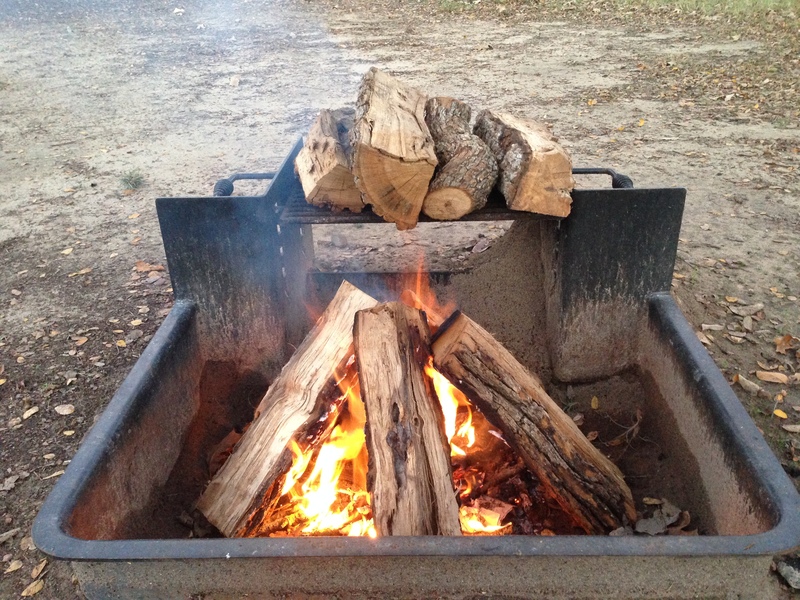 We need more campfires — opportunities to experience the warmth and tranquility they foster. We need to gather together to share our stories in the hearing of our children, stories that make them smile and wonder and dream and ask questions. Perhaps it’s time to consider how to revive the humble campfire in our high-tech world. It may just be the very thing we need to do a better job of inspiring, shaping, and passing along our values to the next generation. Absolutely love this! You totally nailed it! Thanks, Jay. Also enjoyed some fun mountain biking at the park! All good points, Omar. The disconnect in our society is really showing. Oh, we wanted to see your new tent. Maybe on your next trip!